Rifle bearing fan types offers a number of advantages against ball bearings and sleeve bearings fans. Rifle Bearing and Ball Bearing both have a life expectance of about 50,000 hours. Sleeve bearing has a life expectance of over 20-30,000 hours. 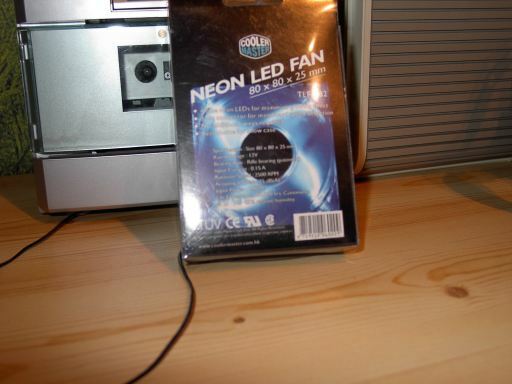 The Neon LED Fan has four bright blue LEDs in each corner of the fan. This gives a very nice effect when you turn the fan on. Sound? No, You almost can't hear the fan, so this is a very good thing about it if you want a silent system. The noise/speed ratio is very good, 32.11 CFM @ only 25dB. Almost no wires are required, so no wire mess in your case. If you turn off the fan, you can see a transparent fan. 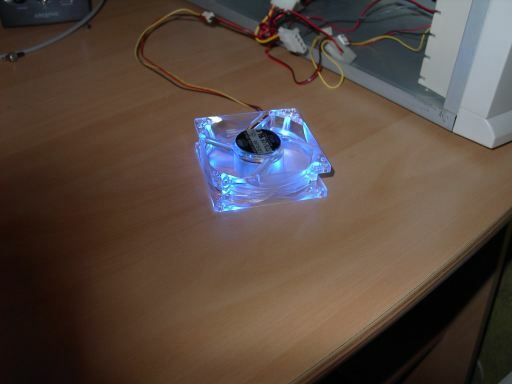 These kind of fans are great, because with colored and black fans you can just see the fan but not the thing that's behind it, like your shiny mobo if you put it in your sidewindow. It's also rather hard to screw the screws into the fan. But if you do it with enough power, it should be no problem. Why do you use u fan? You all read the review, but maybe some off you are wondering : why do we need a fan? 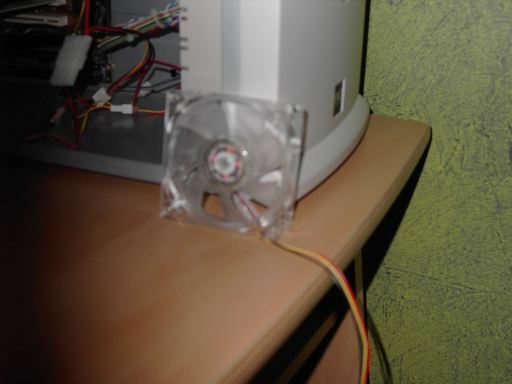 Well, a fan provides some airflow in your pc so it runs a little bit cooler, so in most cases you can do some more overclocking ;) . 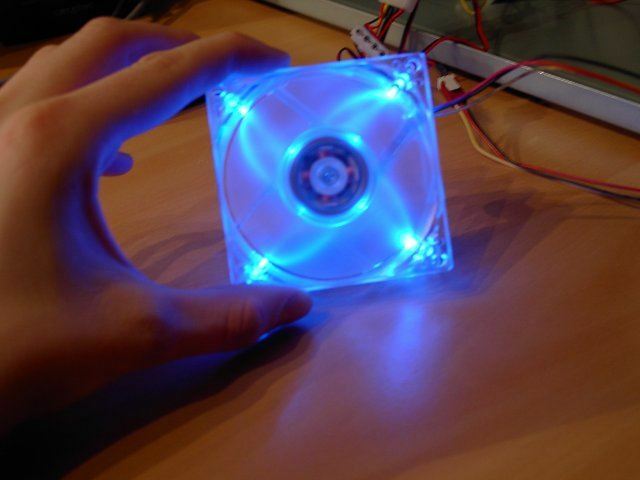 Some people use it just for the looks, and it's true, a LED fan makes your case look a lot better. 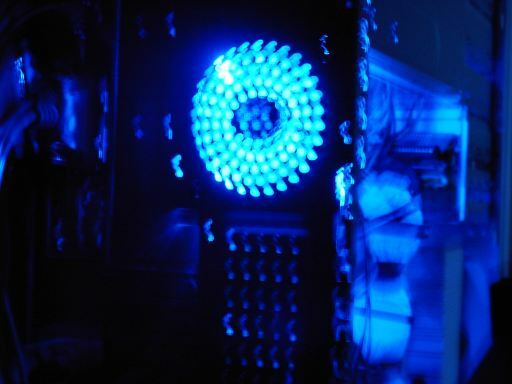 Everyone loves some shiny blue light coming from his case don't we? The Neon Led Fan from CoolerMaster looks awesome. 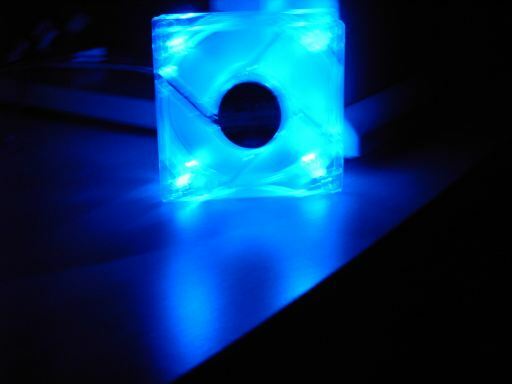 Four bright blue LEDs makes sure you have the maximum shiny blue glowing effect. Another good thing is that you almost can't hear the fan, so with its 32.11CFM and only 25dB it's one of the best noise vs speed 80mm fans out there. 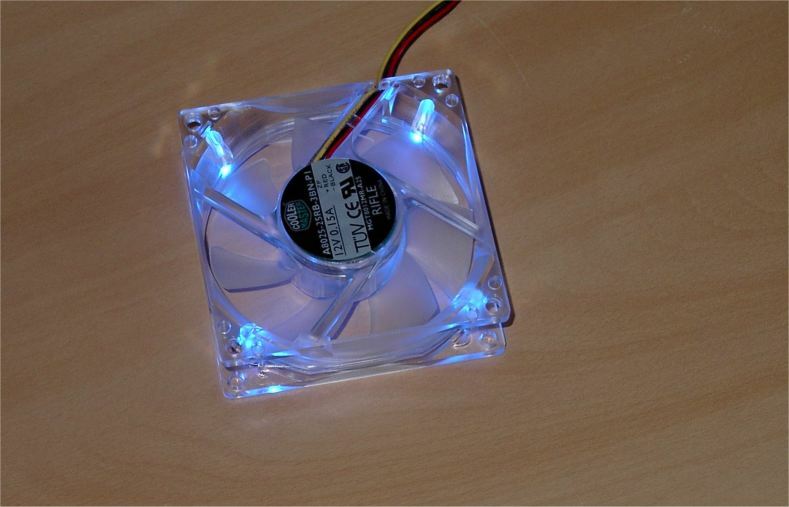 The rifle bearing is one of the newest technologies, and this is also used in this Neon Led Fan. Almost no wires makes sure that you have no wire mess in your case like with Cold Cathode Fans. It's rather difficult to plug off the 3pin connector, and it's hard to screw the screws to the fan. But I would say a great fan, you surely have to think about it to buy one!